46-01 39th Avenue Sunnyside , NY. 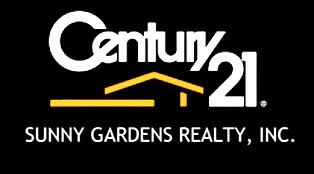 | MLS# ol20011518 | Century 21 Sunny Gardens Realty Inc.
SELF-ASSURED LIFESTYLE ! Beautiful 2 Bedroom Co-Op in the Sunnyside Towers Complex a Post War Style Building ( Blt. 1961). Apartment consists of foyer,living rm, dining area, open style kitchen, bath rm.,master bedroom and full size bedroom . Main features for this unit are , hardwood for the living areas, granite and ceramic for kitchen and bath rm.areas , high end stainless steel appliances , spacious closets and full size windows facing Sunnyside Gardens . Amenities include video/intercom security,storage,maintenance staff on premises , in ground swimming pool w BBQ area, sitting facilities and locker room in addition there is an enclosed garage ( subject to availability and extra fees ) Great location near all shopping and transportation only 10 minutes to Mid-Town/United Nations . OWN A LIFESTYLE NOT JUST A CO-OP ! ................. HURRY ! In Ground Swimming Pool : BBQ area / Sitting area & Locker room .